The imaging capabilities of mobile phones’ primary cameras have come a long way since the early 2000s, when the first camera phones hit the market. Today premium handsets can offer picture quality in line with higher-end digital cameras, to the point where even some DSLRs are threatened. Meanwhile, selfie cameras have usually been behind the curve as far as resolution and lenses are concerned, owing to their more limited use cases. However it would seem that ZTE has decided to change this with its Blade V10 smartphone. 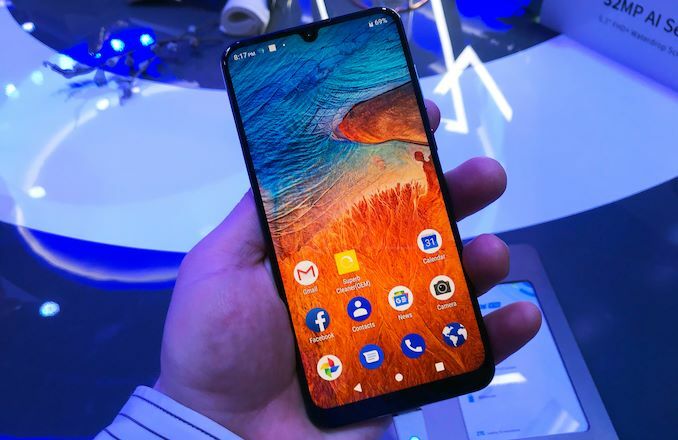 The new handset from ZTE features a 32 MP selfie camera using a display flash to capture all the beauty of its owner without any pixel or atom of the anatomy missed. The company does not disclose optics it pairs with the advanced sensor for some reason. Meanwhile, the main camera comprises of a 16 MP (f/1.8, 1.12µm) RGB module, a 5 MP (f/2.4) depth sensor, and a dual-LED dual-tone flash. 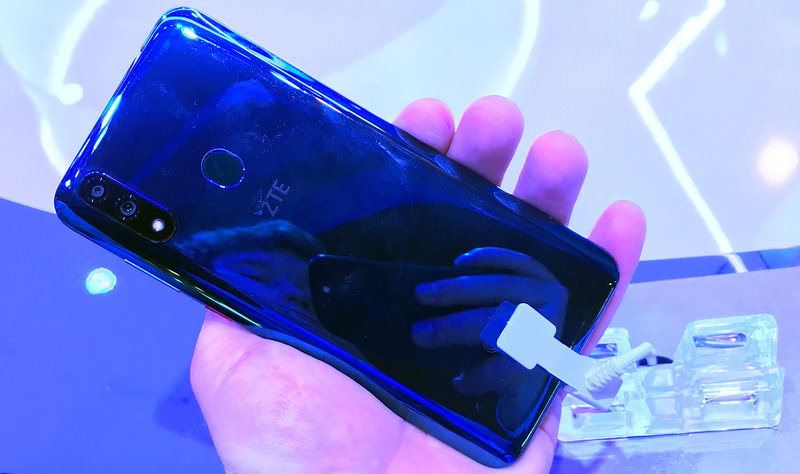 With the 32 MP selfie camera being the key element of the device, ZTE is not really emphasizing the other characteristics of the handset. 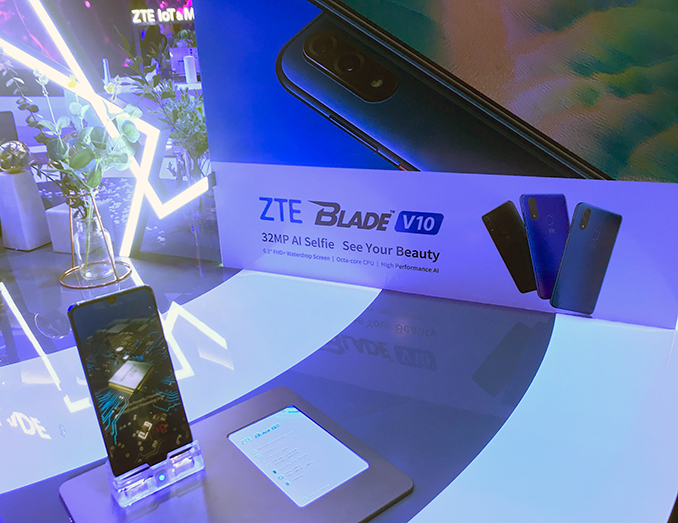 The ZTE Blade V10 looks rather advanced in general; the smartphone has 6.3-inch IPS display with a 2280x1080 resolution (400 PPI), and is powered by MediaTek’s P70 SoC (four ARM Cortex-A73, four ARM Cortex-A53, Mali-G72, Tensilica DSP/NSU, LTE Cat13/Cat7, etc.) accompanied by 3 or 4 GB of RAM, 64 or 128 GB of NAND flash storage, and a 3,200-mAh battery. When it comes to general communication capabilities of the device, they are in line with mainstream smartphones of today: 4G/LTE, 802.11ac Wi-Fi, Bluetooth 4.2, USB 2.0 Type-C for data/charging, and so on. ZTE says that the Blade V10 will be available in black, blue, and green, sometime in March. The phone will be sold in APAC, EMEA, and Latin America regions at a price of around $300. Me neither. I use the selfie camera for two reasons. To see if my face has gone a fetching shade of purple (I do this from time to time, inflammatory condition) or to scare myself into shitting myself because I'm going out and need a dump for convenience's sake. Other than that, it really is useless. Even if I'm doing a video call, the odds are I'm going to want the forward facing camera because the ONLY reason for a video call for me is to see something I'm instructing on fixing on the other end or vice versa. This is just a "big number better" thing to sell to idiots who will part with large amounts of money without bothering to research properly.